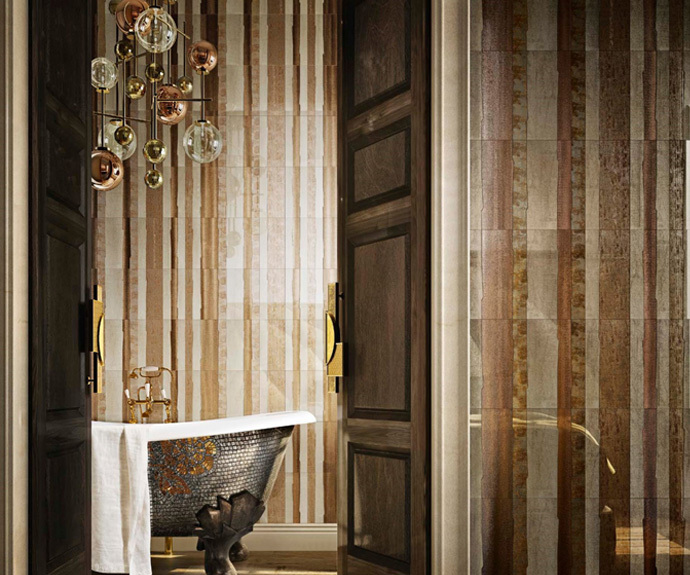 These specialist finishes are a pure and beautiful combination of alchemy, technology and artisanship to bring a unique aesthetic to luxury bathrooms in both high end developments and private client projects. Iconic, feature fabrics are sandwiched between polymer film to create individual, custom decorative art that provides a range of design solutions. Subtle colour palettes combined with high quality materials makes these suitable for a wide range of applications. 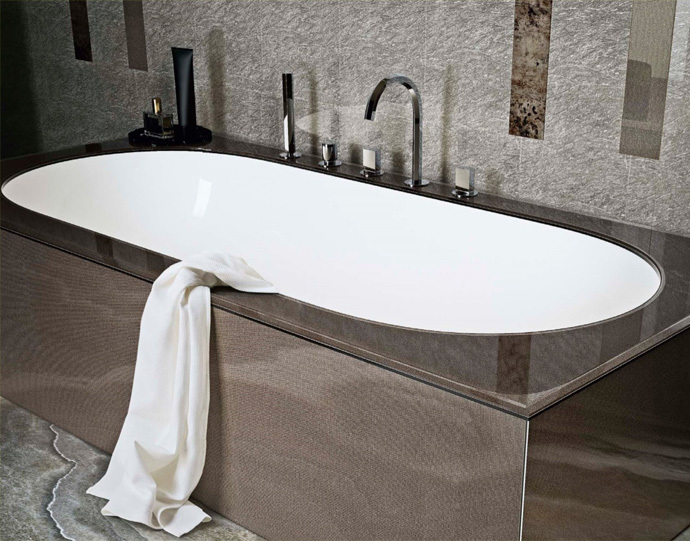 Thicknesses of either 6mm or 12mm allow for different applications, whether it’s a luxurious surround for a bath or a feature wall to create a stunning focal point. The versatility of these products allow you to explore cladding, for example, without having any constraints in style. The opportunities for pure creativity to shine through these stunning pieces of glass art will transform a bathroom and bring a truly evocative feel to the space. This revolution in glass lends itself to transforming anything from furniture and doors to lighting and counters. Concept Virtual Design work with leading architects, quality contractors and luxury developers to create and bring together luxury designs for high end refurbishments, new developments or private client projects. We utilise the latest in technology, textures and trends, to create truly stunning designs that function with true beauty. This entry was posted in Luxury Bathrooms and tagged Bath Glass Décor Finishes, Bathroom Designers, Feature Walls, Glass Bath Surrounds, Glass Décor Finishes for Baths and Feature Walls, Glass Décor Walls for Bathrooms, Glass Decors for Bathrooms, luxury bathroom design, luxury bathrooms, Luxury Bathrooms Henley, Luxury Bathrooms Marlow, Luxury Bathrooms Pangbourne, Luxury Bathrooms Reading, Luxury Bathrooms Streatley. Bookmark the permalink.